CACI is hiring military-trained Cryptologic Linguists in Fort Meade, MD. Join a team of dynamic Intelligence Community professionals! A cryptologic linguist is distinguished by their combined foreign language proficiency, target knowledge, and cryptologic experience. Apply to be a CACI linguist today and start a career with a leading defense organization! Must have a minimum of four (4) years of transcription, translation or other language-related cryptologic experience and an Associate's Degree or 2 additional years of related experience. Performance at Level 3 in listening OR reading as defined by the Interagency Language Roundtable (ILR) or Defense Language Proficiency Test (DLPT) is required. Must have excellent command of the English language knowledge and ability to produce translations independently. Must have demonstrated superior and professional competency in their previous assignments and positions. Position requires a TS/SCI with polygraph security clearance. Transcribes and/or translates source material, both printed and audio, provides analysis and reporting of translated foreign language source material, and quality control of junior linguists. Typically works as part of or may lead a team of linguists supporting operations CONUS or OCONUS. Must be a U. S. citizen and able to obtain a customer granted security clearance. Must possess ILR level 3 proficiency in reading or listening of the target foreign language, typically a 3/3, 3/2, or 2/3 on the DLPT. Translates intermediate to advanced level printed materials including technical manuals and foreign language periodicals into good grammatical English. Transcribes and translates foreign language audio files into good grammatical English. Prepares and updates databases of translated source material. Operates customer furnished monitor/recording equipment. Scans intercepted data and determines as pertinent or non-pertinent to mission requirements. Participates in analytical meetings or conferences when applicable. Drafts product reports. Provides quality control of junior linguist transcribed and translated material. CACI employs a diverse range of talent to create an environment that fuels innovation and fosters continuous improvement and success. 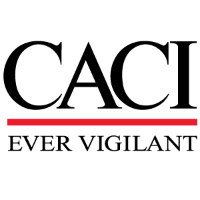 Join CACI, where you will have the opportunity to make an immediate impact by providing information solutions and services in support of national security missions and government transformation for Intelligence, Defense, and Federal Civilian clients. A member of the Fortune 1000 Largest Companies and the Russell 2000 Index, CACI provides dynamic careers for approximately 20,000 employees working in over 120 offices worldwide. Non-native Linguist - Requires a bachelor's degree or equivalent and five to seven years of relevant experience. Native Linguist -“ Requires native level skills and five to seven years of experience. CONUS: Normal demands associated with an office environment. Ability to work on computer for long periods and communicate with individuals by telephone, email and face to face. Some travel may be required. OCONUS: Demands will vary according to work environment. Often work schedule will require 12 hour days, 7 days a week when working in harsh environments and require strict medical and dental screening before deployment overseas.